About Youth Voices Center - Youth Voices Center, Inc.
A potent but overlooked dropout prevention strategy is building the competencies of youth development, staff, and volunteers. Youth Voices Center provides a unique program that can be applied during and after school, as well as on-site in the community in collaboration with Community Based Organizations. The Power of Peace program works with at-risk teens to fulfill their potential, keep them enrolled during the middle and high school years, and on track toward college and career. Established in 2008, Youth Voices Center, Inc. (YVC) is dedicated to promoting positive youth development among adolescents through its Power of Peace program offered in schools, community centers, and youth groups across Westchester, Schenectady, Columbia, Dutchess and Rockland Counties. The Power of Peace program is a conflict management initiative focused on developing leadership, teamwork, collaboration, decision-making, respect for others and self, and cultural awareness. Adolescence is a turbulent time for youth when they often feel confused, alone, and vulnerable. Interpersonal conflicts can easily become violent and dangerous situations when youth lack skills to resolve the conflict peacefully. Executive Director Michael Arterberry designed the Power of Peace program to provide teens with an opportunity to build positive values, identities, and social competencies, thereby increasing safety in their communities. The program is informed by Michael’s 24 years of youth development experience working as a social worker and counselor with youth in a variety of settings. 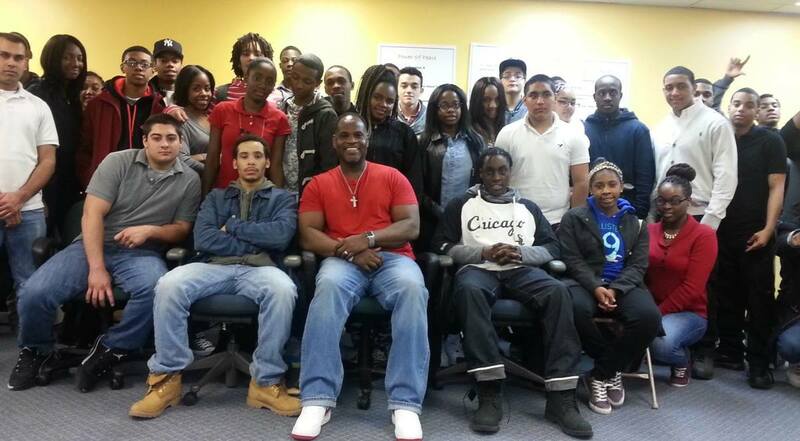 In 2013, YVC served over 1,500 teens at six high schools in Westchester, Schenectady, and Columbia counties. All of the schools served have large and diverse students bodies; half of the schools are designated as “high needs” by the New York State Education Department. These schools request YVC to return year after year to deliver the Power of Peace workshop to new incoming classes. YVC currently provides its Power of Peace program to New York State adolescents, aged 12-18 years old, with a focus on diverse schools, community centers, and youth groups. The demographics of students attending six schools served by YVC in 2013 were 39% Latino, 30% Caucasian, 25% African-American, and 8% Asian. Nearly two-thirds of the participants were in ninth or tenth grade, with participants in the upper grades comprising approximately one-third of the total participants. Participants were approximately 50% female and 50% male. All six school districts, like many urban school districts in our country, are challenged by interpersonal conflicts and violence among students. In total, these six high schools reported 10,331 violent and/or disruptive incidents during the 2012-2013 school year. YVC is committed to help lower the rate of violent incidents in these schools and support students in realizing their full potential.